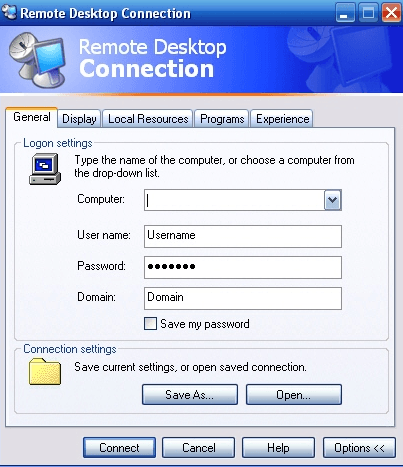 You can read my previous post on how to setup remote desktop in Windows XP. If you need to remote desktop into Windows 10, read this post. That’s it! Pretty easy eh? Unfortunately, I tend to use Remote Desktop rarely and therefore forget this key combo all the time! Some people have also followed up with me and asked about multiple RDP sessions, i.e. A – B – C. So A is remotely connected to B and B is remotely connected to C. In this case, you have to load up the On-Screen Keyboard on the final machine (C). You can do that by running osk.exe (press Windows key + R and typing in osk). Now on your host machine (A), press and hold the CTRL and ALT keys on your physical keyboard and then press the DEL key on the on-screen keyboard. That’s one way to do it. You can also open the on-screen keyboard on computer B and then type CTRL + ALT + END, which will send CTRL + ALT + DEL to computer C.